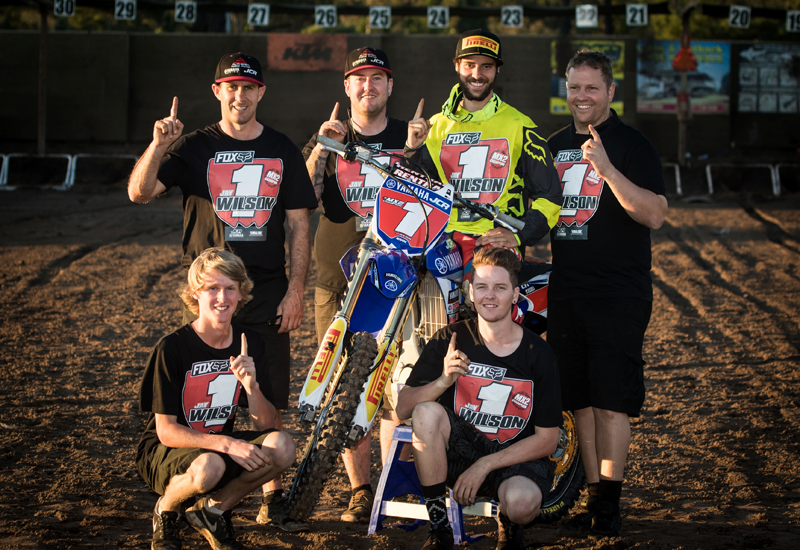 Jed Beaton has won the MX2 round overall in Shepparton. 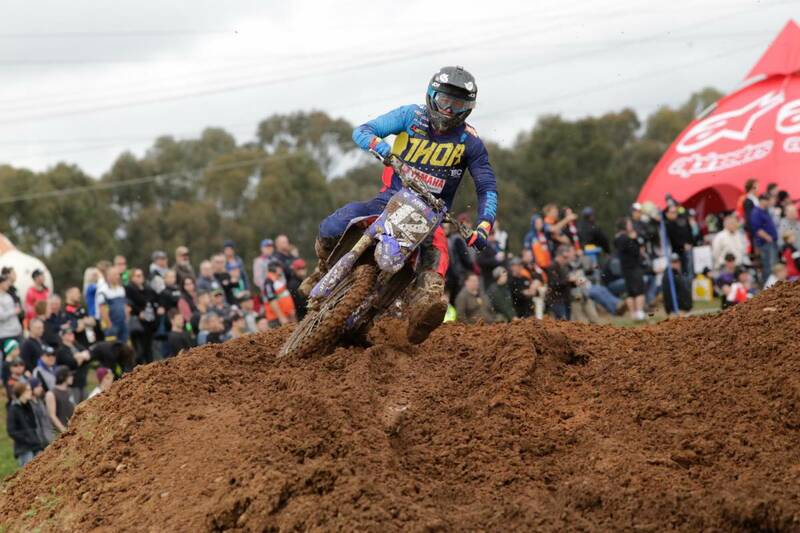 As qualifying got underway it was Husqvarna’s Nathan Crawford clocking the fastest time ahead of Caleb Ward and Jayden Rykers. Riders were ready to fire in the first moto and it was Rykers who got the pick of the starts claiming the MXStore holeshot. DPH Motorsport’s Beaton needed only a few turns to move into the race lead closely followed by Wilson Todd and red plate holder Crawford. Caleb Ward was struggling from a bad start all the way back in tenth place. The leading riders began to pull away from the pack and Todd was showing serious speed. 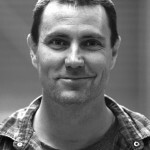 He soon moved into the lead leaving Beaton and Crawford to battle it out over the minor positions. With a championship on the line the pair engaged in an aggressive battle, banging bars for a number of laps before Crawford eventually made a pass stick. Todd would claim the first chequered flag of the day ahead of Crawford and Beaton before controversy soon followed. Crawford and Todd were handed 15 second penalties for jumping on a yellow flag handing Beaton race one victory. Race two kicked off with a holeshot to Beaton followed closely once again by Crawford. With a few laps in the bank Crawford fell into the clutches of Caleb Ward with the KTM rider passing into second place. 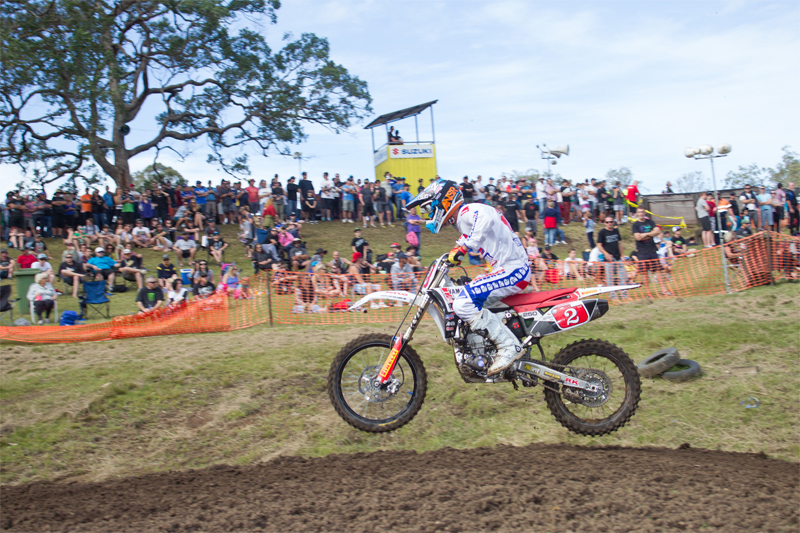 Making amends for moto one, Ward then set his sights on Beaton eventually passing into the lead at the halfway point. The leading pair began to pull away from Crawford in third with Beaton giving his all in one final effort to recapture the lead. Unfortunately it was all a little too late with Ward taking the chequered flag ahead of Beaton and Crawford. 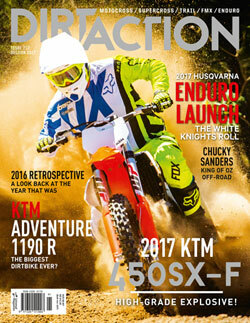 A 1-2 scorecard provided Beaton his second consecutive round victory and the coveted red plate. “I’m really happy to finish with another round win here at Shepparton. The championship is coming down to the wire and we all want to win just as bad as each other now,” Beaton said. “When you’re that close to each other on the track, and there’s three of us going for a championship, then it’s going to get a bit heated now and then, but we’re all in it to win. Caleb Ward finished the round in second place ahead of Crawford in third. With two rounds remaining in the series Beaton finds himself the new championship leader tied with Crawford on 507 points.